NEW YORK — Winnie Lerner, a 20-year industry vet, has joined Finsbury as managing partner, North America. Lerner will coordinate the firm’s US practices, with a particular focus on expanding the agency’s growing capital markets practice. Lerner joins from Glover Park Group, whose New York office she has headed for the last three years. NEW YORK — Mike Geller has left his Edelman executive VP job for Prosek Partners, where he will serve as managing director. Geller’s responsibilities include working with financial institutions’ C-suite executives and business leaders on strategic communications, as well on events including M&A, litigation and regulatory matters. At Edelman, Geller was part of the agency’s financial communications & capital markets practice. In addition, Nadia Damouni, also of Edelman, has joined Prosek Partners as a senior VP. WASHINGTON, DC — Frank Lowenstein, a former senior advisor to former Secretary of State John Kerry, has joined APCO Worldwide as head of the agency’s global solutions practice. Lowenstein’s experience includes serving as special envoy for Israeli-Palestinian negotiations for the US state department which included policy formation, strategic messaging, direct engagement with the Israelis and Palestinians and outreach to key stakeholders in the international community. NEW YORK — Laura Ryan, a 20-year industry vet, has joined Ruder Finn as an executive VP in the agency’s corporate communications practice. Ryan comes from Cohn & Wolfe, which she joined after earlier stints at Ketchum and Burson-Marsteller. In her new role, she will focus on executive thought leadership, crisis and issues strategy and financial communications. SAN FRANCISCO — Hotwire has upped Lindsay Riddell (pictured) to VP of corporate and executive communications from senior director of client services. In her new role, Riddell will be working with C-suite execs on thought leadership initiatives. She joined Hotwire in 2016 with 20-years journalism experience, most recently as a San Francisco Business Times reporter. WASHINGTON, DC — Erin Billings, a former political reporter with expertise in public affairs, has joined Global Strategy Group as a Washington-based senior VP. Billings comes most recently from the Podesta Group, where she managed a portfolio of corporate, non-profit and trade association clients. Earlier in her career, she spent 10 years at the Capitol Hill newspaper Roll Call as a reporter and deputy editor. ANNAPOLIS, MARYLAND — Crosby Marketing Communications has made two new hires — Kara Joyce and Janae David — to serve clients in its healthcare, government and nonprofits & causes divisions. Joyce joins as an integration/PR manager, coming most recently from Abel Communications. David, Crosby’s new multimedia & digital marketing coordinator, comes from Baltimore Research Group. FORT LAUDERDALE, FLORIDA — Marketing firm Durée & Company has promoted account director Chrissy Cox to VP. 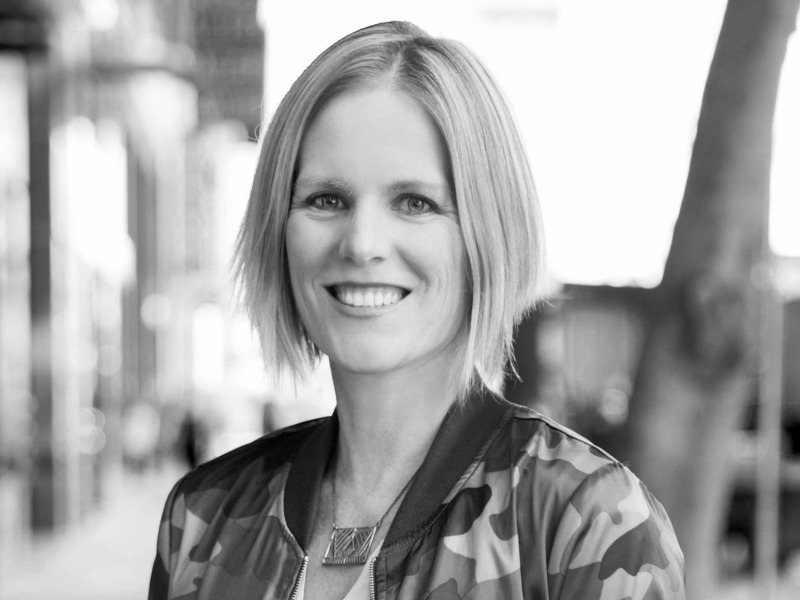 With roughly 15-years experience in communications, Cox joined the agency in 2016 from Chicago, where she oversaw marketing and PR for Sofitel Hotels’ flagship Chicago property. She worked for Wagstaff Worldwide’s Chicago office before that. NASHVILLE — Knight Stivender has joined MP&F as director of integrated marketing, bringing to the role 20 years of experience in strategic communications, data-based marketing and multichannel storytelling. Stivender is charged with leading the agency’s interactive marketing division, which offers and marketing. Her experience includes worked in a variety of positions at The Tennessean/Gannett Co. and Alcott Marketing Science, a boutique data marketing agency. NEW YORK — CooperKatz has given three longtime staffers — Kathleen Reynolds, Heather Caufield and Katy Hendricks — new leadership roles. After 14 years with the agency, Reynolds has been named VP and director of client services. Caufield, who has been with CooperKatz for six years, has been upped to director of client services. Hendricks, a 10-year agency vet, has been named the Tampa, Florida office’s director of client services. WASHINGTON, DC — Hastie Afkhami, most recently Podesta Group’s digital lead, has joined Subject Matter as the agency’s senior VP of digital. In announcing her appointment, CEO John Buckley said Afkhami joins Subject Matter at a time of growth, during which the agency is increasing its capabilities in strategy, advertising, analytics and content creation and distribution. WASHINGTON, DC — After six years as The Heritage Foundation’s communications director, Sarah Culvahouse Mills has joined The Glover Park Group as a VP. Mills will be working in GPG’s strategic communications division, providing clients strategic media counsel. Her experience includes working in the White House as an assistant press secretary in Laura Bush’s office.